If credit cards are so dangerous, why use them? Let's be clear on one thing: If you worry about self-discipline, if there's even the slightest possibility that using credit cards might lead you to debt, the smart choice is not to use them. Outsmart yourself by not letting yourself be tempted. Convenience. It's easier to carry around a single piece of plastic than to deal with cash and checks. Plus, a lot of people like the automatic record-keeping that comes from using a card. Protection. Most credit cards offer a variety of features that protect your purchases. Some extend manufacturers' warranties. Others offer insurance for things like rental cars. Others protect you in the case of a purchase gone sour. On top of that, if your wallet is stolen, your cash is gone. But the Fair Credit Billing Act limits your liability on a stolen credit card to $50. Building credit. Your credit score has a huge impact on your personal finances. Using credit cards wisely improves your credit score so that you can get the best rates on auto loans, mortgages, and other financial products — including, of course, other credit cards. Rewards. Nowadays, most credit cards offer perks of some sorts. Some offer airmiles. Others offer cash-back bonuses. The new travel credit card I picked up last year includes all sorts of benefits, including TSA pre-check and access to airport lounges. Again, these benefits are meaningless if you don't use credit cards wisely. If you miss a payment or carry a balance, you've negated your cash-back bonus for months (or years) to come — and you've hurt your credit score. Pay your balance in full each month, and credit cards can be a valuable addition to your money toolbox. Okay, you get it. Credit cards are the chainsaws of personal finance. Used wisely, they can be an awesome tool. Used carelessly, you're likely to cut off a (metaphorical) arm. Let's turn our attention now to some essential credit card skills. 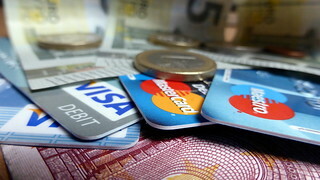 First and foremost: In order to use a credit card without getting burned, you can't let it change your spending habits. A credit card isn't a license to spend; it's just a different way to pay. If you're using credit cards to spend more than you earn, you're using them wrong. Learn to read the fine print. Read the legal stuff when you fill out the application, when you receive the card, and on any future mailings. Credit card terms and conditions can be confusing. This credit card glossary from Wells Fargo can help. If you don't understand something, ask for help. As always, don't be afraid to speak up. If you notice something strange on your bill, call customer service. If you want to dispute a charge, call customer service. If you want a rate reduction, call customer service. It never hurts to ask. Be wary of the special offers your credit card company sends you. Understand the teaser rates. Beware offers to skip a payment. Be suspicious of other products the company tries to push: insurance, fraud protection, etc. Many of these are bad deals for consumers. Finally, pay your bill on time and in full every month. 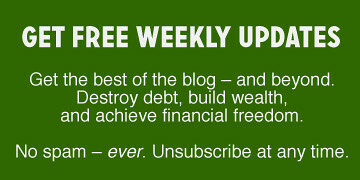 If you are not yet in credit card debt, don't start. Don't rely on credit cards to support a lifestyle you cannot afford. Don't resort to using a credit card because you can't afford to pay cash for something — use a credit card because you can. These skills are all rather academic. They're important, yes, but they don't address the behavioral issues that lead to credit card debt. It's one thing to say “pay your bill on time and in full every month”, but it's another thing to actually do it. What most people need are real-life methods for using credit cards without going into debt. Let me show you the four laws I use to guide my credit card use. I promised to pay my card in full every month. This goes back to the last item in the list above: I never carry a balance. This is my number-one rule. Everything else is secondary. When I decided to try using credit cards again with rewards cards, I promised that if I ever carried a balance, I'd cancel the card. It's been over ten years now, and I've never carried a balance. Despite these careful steps, I do sometimes worry about my use of credit. Research shows that people tend to spend more with credit than with cash. Am I doing that? Is my use of credit hurting local businesses? (I won't use credit at the local bookstore, for example, because I've talked with the owner and we know that merchant fees for card use hurt her business. I always pay cash when I buy from her.) And by using credit, am I feeding the monster of predatory lending? No two credit cards are the same. Each has its own advantages and disadvantages. Over the past decade, I've come to believe that choosing a credit card is a little like choosing a mate. That probably sounds silly, but I'm not joking. Instead of just marrying the first person you meet, you take your time to find a partner that makes your life better. You should do the same when looking for credit cards. Decide what features are important to you, then spend time looking until you find the card that's best for you. Take time to do research. Your goal is to find the card that best suits your needs, so don't just sign up for the first offer that comes in the mail. You can research cards at sites like Consumer Reports, Card Ratings, Index Credit Cards, and NerdWallet. If you're after a rewards card, choose one that offers something you value. Some offer frequent-flyer miles or other “points”. If these appeal to you, great. But if you're not a big traveler, consider a cash-back card. Cash is versatile and, unlike airmiles, never expires. Watch out for extra fees. Some fancy cards carry great perks — at a price. You're usually better off with a no-fee card than paying $50 or $100 (or more) for features you rarely use. Look for more than just a low interest rate. Though it might sound like gibberish, a credit card's method of computing the balance for purchases is important. Look for cards that calculate your interest using either “average daily balance” or “adjusted balance”. Once you've chosen a credit card, be sure you understand its limitations. Always read the fine print before you sign up. Remember: Your goal is to pick a useful tool. You're not looking for a one-night stand, but a long-term relationship you can live with. Last January, “>I switched from my Capital One card to the Chase Sapphire Reserve because the latter boasts tons of travel perks, which I use often. So, there you go: I have three personal credit cards — although I only actively use one of them. Mistakes happen. Once in a while, a restaurant will charge you twice for the same meal. Or they'll charge you for somebody else's dinner. Just last month, my girlfriend noticed that the gym membership she'd cancelled two months earlier was still being charged to her account. Gather documentation. To make things easier when trying to resolve the issue, take time to gather supporting info such as receipts, warranties, and written contracts. Start at the source. Before contacting your credit card issuer, first contact the merchant that charged the card. Explain the problem and ask them to resolve it. If that doesn't worth, then move to the next step. File a dispute with your card issuer. As soon as possible, send a written complaint to the issuer's “billing inquiries” address (not the address where you send payments). Include info about your account, an explanation of the problem, and copies of any supporting documentation. The FTC offers a detailed description of the process. Also, most card issuers now have an online dispute-resolution process, which may be more convenient than filing a dispute by mail. Take your complaint elsewhere. If you're unhappy with how things turn out, contact agencies such as your state's Attorney General's office or the local Better Business Bureau. Note that these steps are for disputing improper charges, not for fighting over shoddy merchandise. Your credit card may offer some protection if your new computer is a lemon, but you'll need to read your card agreement to know your rights. Save the dispute process for actual billing errors. If you have trouble with compulsive spending, it's best to take away the tool that makes it so easy to get into trouble. Don't just cut up your credit cards — cancel them. Doing so buys you time to learn to manage credit responsibly without a constant temptation to spend. Even if you don't have trouble with credit, you may still want to close an account from time to time. Canceling a credit card is easy. But if you're going to do it, do it right. Close just one account at a time, even if you're closing several. First, cancel cards that charge you fees. Also, it's better to cancel new cards before old ones. And you may want to keep cards with good rewards programs. Watch your credit report. It may take several weeks for changes to appear on your credit report. It's your responsibility to be sure the report is accurate, so keep tabs on it. You may also want to watch your credit score to see if canceling the card did any damage. When you're certain the account is closed, cut up your card. If you think it's important to keep a high credit score and you're sure you won't abuse them, then keep the accounts open. But it's a mistake to keep your credit cards if having them will tempt you deeper into debt. The credit card industry earned $163 billion through fees and interest in 2016. Much of this profit comes because they've made it easy for folks to spend more than they should and because people don't understand the rules of the game. Remember: Your credit card company is not your friend. They're hoping you screw up because that's how they make money! In fact, the industry's term for somebody who pays their bills on time is “deadbeat”. Nice, huh? Your credit cards will never make you ruch, but used wisely they can fee you to focus on the things that matter most in your life — and earn a few rewards in the process. There are 13 reader responses to "How to use credit cards wisely: A definitive guide". –Repeating charges (Netflix, utilities, that kind of thing) are on the credit card rather than direct to the bank, so that I get the points and rewards (and a free one-month float). –A couple of years ago, having made another benchmark in our investments, we decided to downsize/simplify and trade in two old cars and buy one >new< car (yeah, I know, I know, we always bought used before). After negotiating the trade-ins and price on our Subaru and turning down the "financing deal," I handed my Amex to the car salesman. He looked nervous and I had to explain that we could write a check for the car but I really wanted the points (I had called Amex in advance to make sure the charge wouldn't surprise them). He told me that in decades of being a salesman, it was the first time anyone had paid for a car on a credit card. Out of that car purchase, we got a couple of free flights to Seattle and a hotel (of course this kind of thing only works if you are the kind of person who would never buy something in order to get the points–they are just extra credit). –I have our credit cards auto-linked to my Ibank program so that when I open the program, it uploads the latest charges and also automatically populates most of them (the repeating ones) with codes that tell me what taxable/deductible category the spending goes into; for unique or new charges, I code them myself and then my (complicated with many business/charitable deductions) taxes are done. It also gives me a monthly look at all the charges and our spending trends. –My thoughts on Amex. I've been a card-holder since early 1980s, and have had the green, the gold and the platinum at various times depending on our needs. The benefits vary, as do the fees. A couple of years ago when I was traveling a lot, I upgraded again to the platinum to get access to airport lounges. Recently though I dropped back down the the green because we were not using that benefit enough to make the cost worthwhile. With credit cards, there are many good deals out there, paid for by those who carry the usurious monthly balance! As you point out, J.D., credit cards are a great tool if you are not spendy. And, alas, a disaster if you are. On our past 2 car purchases, the dealers limited us to $1500 and $3000 on a credit card because of the fees they pay. p.s. J.D., great to see you back. I got an e-mail from foldedspace telling me you were back at GRS, so I returned. The first time I got a credit card, I just couldn’t understand how it worked. I was sure that there was something I was missing, that it would cause me to lose money somehow. Why would someone lend me money with no catch? It was hard to understand. So I made one purchase using that card. Waited for the monthly statement to come. Dug up the receipt and made sure that the amount matched exactly. I grew up in India, credit cards were not that common. I got my first one when I was 21. Once I was convinced that there was no hidden charges, I started using it just for the convenience. I follow all those rules you have, although unconsciously. I always wonder how many people know how to use cards effectively – know that you should pay it off in full every month, etc. – but have gotten themselves in such a bad position that they can’t? I think the big thing is making sure your spending is appropriate for your income and your goals. Once you’ve got that locked down this is a great guide. If you don’t have it locked down, then credit cards can be disastrous! I have always treated my credit card like an ATM card, and my rule has always been that I would never put a balance on the card that I could not pay off in 3 months — and that would only be in an true emergency. Anything else, I would save for. The only time I ever carried debt was to pay for the attorney who helped me exit my abusive marriage. It took me 17 months to pay off (I was broke* for most of the two years it took to finalize the thing), but I can say it was absolutely the best money I ever spent. Other than that, I’m with you: Use the card strategically, enjoy the rewards and never buy anything you can’t pay off in full. *One of the things he said early on was that he would drag it out as long as possible so we’d both be broke when it was over. And he did. So glad that jerk is gone, Donna! Worth every penny. Not allowing credit cards to affect your spending habits is probably the most difficult aspect, and I can totally see how people who spend with credit cards end up spending more than people who spend with cash. When using my card, I have to consciously avoid spending because I can or just “for the points.” So far I’ve been doing pretty well, but it does take a lot of conscious effort and practice. As a foreigner, despite half of my life (adult life, 25 years of it) living in US, I always, always treated credit card like an ATM card. And somehow figured the rewards/points rather quickly. Sometimes I say I have an unfair advantage over general population having gown up with money as cash only and sticking to it – but at the same time, investing for me is a difficult thing to do. Parting with hard earned cash and taking risks just for an off-chance of making a buck? Gosh, took me 20 years to start. I would also advise the first thing you do is set up automatic payments for the min payment this way you do not get dinged when life happens. I had this happen to me on my first card I was traveling for spring break and forgot it was due. It made the interest jump. Since then I have learned and set automatic payment that way I can enjoy not having to worry about it. I love credit cards. I probably use them somewhat irresponsibly, in the sense that I take risks such as spending more than I have in the bank, on 0% interest, and just having faith that I will be able to save enough to pay it off in 12, 18, 24 months, whatever the case may be. In 8 years I’ve filtered over $100,000 through cc, and borrowed semi long term (0% offers) up to around $70,000. I’ve never paid interest, but I also acknowledge that I’ve been extremely lucky. Currently I am $38,000 in cc debt (it was $50,000 a few months ago before I paid off one of the cards). Next week I’ll be paying off another card to the tune of $8k. This is money I’ve been saving (and earning interest on in the bank), for the sole purpose of paying off credit cards before the 0% percent promotions expire. I’m not going on shopping sprees either. Many of the charges are related to renovations on a rental property, so I also see it as leveraging for investment purposes. Cc’s have saved me time and time again, and earned me lots of money. Yeah, I have to pay back the balance, but I get to keep the interest earned, and points earned. Depending on the card/ purchase, I’ve been PAID up to 6%, to borrow someone else’s money. I always try to “spend credit, and save cash”. And I never attempt spend both at the same time. I pay be adding to the cc balance on the front end, but on the back end I am furiously saving up the cash from all the extra cashflow of only having to pay the minimum on my purchases for the month, or not having to deplete cash reserves for large expenses. The thing that troubles me the most about credits cards (specifically my Chase Slate) is that when you do manage to keep them at a zero balance, you’ll get a nasty e-mail after 6 months threatening to close the card if I don’t use it. I know I should close the cards I don’t use but I’m afraid of lowering my credit score. A score that took me 10 years to attain.